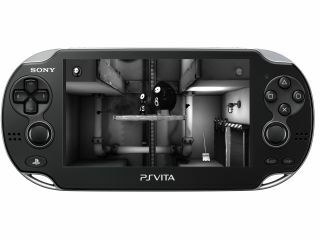 Sony has released its next-generation handheld, the PS Vita, in Japan with many shops in Tokyo opening early for the launch. It has been a torrid year for Sony, with hacks and natural disasters eating into its profits, so the company will be hoping that the launch of the PlayStation Vita will be the start of better times. With the emergence of smartphone gaming, however, the dedicated handheld console market has taken a bit of a bashing. Earlier in the year, the Nintendo 3DS was released to rave reviews but garnered lukewarm sales – a recent price reduction, though, has seen something of a sales lift. While Nintendo went with the gimmick of 3D to sell its handheld, Sony has gone for power and the backing of a decent roster of games. To figure out just what is under the hood of the PS Vita, OLED Display has given the handheld a tear down, exposing its innards for all to see. It seems that the OLED display has been created by Samsung, as has the flexible printed circuit board. As the Sony PS Vita release date is pegged for February, all we can do for now – unless you have contacts in Japan – is sit and admire the PS Vita, components and all, from afar.